Caribbean Dunes Condo W/ Jacuzzi Tub! Close to Beach, Restaurants and Shopping! 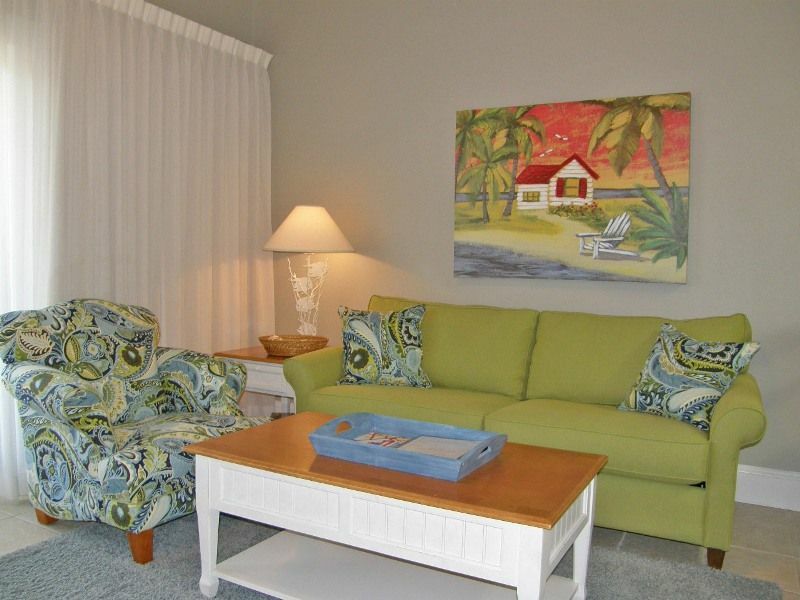 Stay at the beautiful Caribbean Dunes #223 for your next beach vacation. This two bedroom Destin condo is located on the second floor with a balcony for you to relax and breathe in the salty air. This condo can accommodate up to 6 people with two queen beds in the bedrooms and a queen sleeper sofa in the living room. The beach is just across the street, a short walk to a long fun day in the Florida sunshine. Enjoy your free wifi, walking along the sidewalks, rent a bicycle, grab a morning coffee or enjoy an outdoor lunch- this area has plenty to offer you and your guests. We are lovers of white sand and blue waters! Whether you come to play, relax, celebrate, meet or just escape for a while, this beach property has just the right elements for the perfect experience. Let our Gulf Coast Guide lead you to the wonderful beach activities, area attractions, seasonal events, local shopping, unsurpassed dining and so much more. We have even highlighted a few of our favorite places along the way. These are places and businesses that we, as locals, think are the best of the best. We had a great time. The condo was in a perfect location. Not on the main road that has construction going on . It was about a 3 minute walk to beach. There was a nice coffee/ sandwich shop right on the corner going to beach. There was 4 in our party and my teenage daughter loved the private upper loft area with bedroom and bathroom. The condo had everything we needed. Highly recommended! Construction noise starting between 5:30 AM and 7:30 AM every single morning we were there. We hate that construction noise cut into your vacation experience. All complexes have designated quiet hours and if we had been informed about the early noise we would have happily contacted the HOA on your behalf. Thank you for notifying us about your concerns with the condo upon your departure. We are happy to report that everything you reported to us has been taken care of and we apologize that those items effected your vacation. We hope to see you again in the future. This condo was perfect for our needs. Two bedrooms, two bathrooms and ample common space in the living room / kitchen / dining area. Lovely balcony to hang out on in the evenings. Just a 2-3 minute walk to the beach, and around the corner from a nice cafe where you can get everything from coffee and bagels to sandwiches and margaritas. The only thing to note about this particular condo is that the second bedroom is a loft, so if you're going to bed before the rest of your party or someone else is waking up before you, it could be a little disruptive. Fortunately for us it didn't really matter, but I didn't realize at the time of booking that the second bedroom was a loft. We are very pleased to hear you enjoyed your vacation at our condo. We love that the location is quiet, but still so close to everything to do in Destin. We look forward to having you back for your next vacation. Thank you for your great feedback! We are delighted to hear that our condo met all your expectations. We hope that you come back and stay again soon! Beautiful condo, very clean and close to the beach! I would definitely stay here again. The room was exactly as described, comfortable and very clean. Only a short walk to the beach. We had delicious breakfast at Camile’s one morning. Destin commons is just a quick drive across the highway. Kari- Thank you so much for the review of Caribbean Dunes #223. We are so glad that you were pleased with your accommodations. Camille's is such a great choice of restaurants and a local favorite! And we love the shopping and entertainment that Destin Commons offers. Please come back and visit again soon. We hope to see you at the beach! It was awesome, we loved it. Great location, clean, and user friendly. I am so happy to hear you enjoyed your time with us! We try our best to exceed our guests expectations and provide them with best vacation accommodations possible.